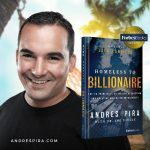 Why Would You Listen to Me, Andres Pira? About 16 years ago I left my home in Sweden and hopped on a plane to move to the beautiful island of Phuket. With dreamy sands, azure blue waters everywhere, and the warm sun bronzing my skin you might’ve thought I had it all. You couldn’t have been more wrong because I didn’t set goals in life. In fact, because I hadn’t set goals, I ended up with nothing. 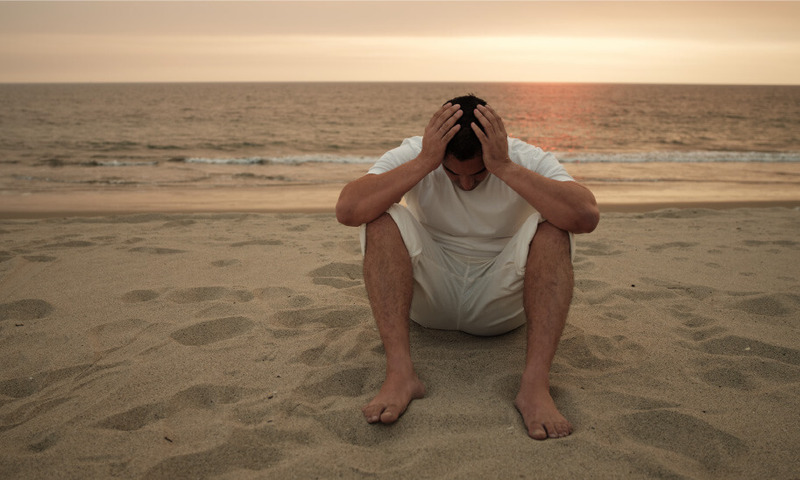 I was a homeless man who lived and slept on the island’s beaches, seeking refuge under the shades of tall palm trees. With no money, I didn’t have a place to call home or even a roof over my head. I asked friends for money, but their responses were far from what I had hoped for. Needless to say, I was at the lowest point of my life. 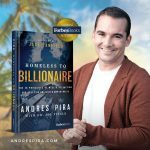 Now, I’m the CEO of Blue Horizon Developments, a property development company that has built some of the most luxurious resorts in Thailand and Southeast Asia. 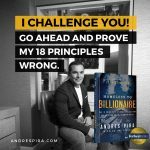 I have so far created 19 companies, worth billions, and have more than 250 employees. 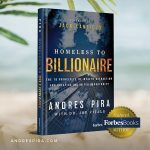 How did I go from being homeless to a billionaire? I wasn’t as lucky as Aladdin who stumbled upon a magic lamp containing a wish-granting genie. However, I was lucky enough to have had the mind to set goals in life. Without them, I wouldn’t have been able to reach the heights I am at today. Our goals are often the answer to “who do you want to be in the future?” or “where do you see yourself ten years from now?”. They are a powerful statement of our dreams and inner desires. They are testimonials to our understanding of our own potential. 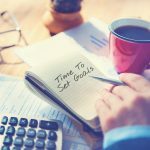 By having goals, we give ourselves a reason to wake up every morning brimming with energy and something potentially life-changing to be excited about. When I was homeless, I had only one goal. That was to make money. I started off small, distributing brochures on the streets of Phuket. I then became a Sales Executive at a local real estate agency. With my continued hard work, in just a few years I became Sales Director. As overjoyed as I was by what I had achieved I did not let my success stop there. Having gained all the skills and industry knowledge I knew I could become something more. That’s how I became the real estate mogul I am today. Having goals gives us something to work towards every day. No matter how long it takes for us to go where we want to be the progress we make along the way fuels our motivation. It reassures us that we are capable of achieving what we set out to achieve. If we persevere, we can and will accomplish our goals. Do you know why I was homeless? It’s because I had not set any goals in life. I had just received an inheritance of $2000 from my late grandfather and impulsively decided to fly to Thailand after a recommendation from a ticketing agent. Just a matter of days after reaching Phuket I was penniless. With no knowledge of the local language, experience, or contacts, I realized too late that I had nothing and was heading nowhere. I had hit rock bottom. A pop culture phenomenon once said, “when you hit your lowest point you are open to great changes,”. That is the perfect description of what happened next in my life. I realized I couldn’t live on as a homeless person. To make ends meet I made it my goal to get a job. And to get a job I executed a series of plans that completely turned my life around. I finally started to see the light at the end of the tunnel. Each of us has different goals in life. Whether we want to make it as an internationally recognized artist or help as many people as we possibly can, we all ultimately want the same thing in the end – a sense of satisfaction and happiness. Therefore, by setting goals in life and following through with them, we do ourselves a favor by building a happier and a more fulfilling future. Do you know how many attempts it took the great Thomas Edison to invent the lightbulb successfully? Countless! Edison had a clear vision of what he wanted to create, and his goal was to turn his ideas into reality. Despite what others might have perceived as a failure, Edison considered each unsuccessful attempt a learning opportunity and hence, a step closer to success. Had Edison not followed through on his goal we might not have had the lightbulbs we cannot live without today. Along with Edison, many successful figures throughout history including the Wright brothers have been told at least once that their goals are impossible to achieve and that they will likely fail. However, it is these very people that made the impossible possible and revolutionized our way of life. Despite what others might say, it is essential to keep our goals and visions guarded. It is nobody’s business to judge. What might seem improbable or unrealistic to most people will not be perceived in the same way to someone with a clear vision, a solid strategy, and an unwavering determination to achieve personal goals. After all, nobody has changed the world by being like everyone else. Why do you need goals in life? I can give you so many more reasons to set goals in life. I can tell you exactly what you need to know to achieve your goals and transform your life as I did. 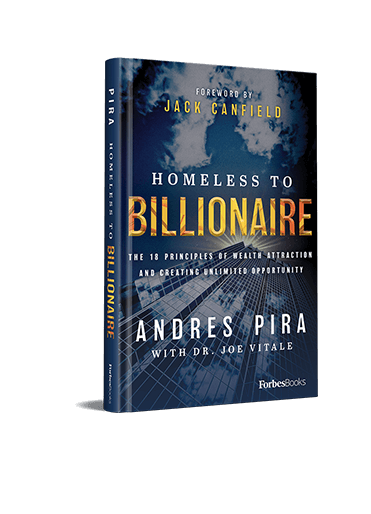 My book, “Homeless to Billionaire: The 18 Principles of Wealth Attraction and Creating Unlimited Opportunity“, will give you practical insights on how to move past your failures and reach success, how to convert problems into opportunities, and many other valuable lessons along the way. Lastly, I want you to know that if you shoot for the stars but only manage to reach the moon, you should be proud of having come 230,000 miles closer to your goal.